In the Sunshine room, we are looking to equip our children by instilling in them a lifelong love of learning that will stay with them long after they leave nursery. We aim to provide an environment, so rich in dynamic experiences that each child cannot help but grow, develop and learn. Using the Curriculum for Excellence and the Learning Together in Dundee as the framework for learning, our children will become confident individuals, successful learners, responsible citizens and effective contributors. One of the questions we are asked most often is how do we develop our children’s numeracy and literacy skills. You will not find your child sitting at a table with a worksheet. Instead, numeracy and literacy is naturally embedded in every day play. The team of fully qualified practitioners realise the importance of finding out the children’s interests and how they learn. 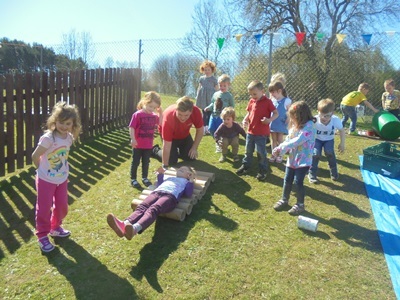 They then skilfully turn that knowledge into stimulating experiences, which allow children to access activities that are both challenging and rewarding. We follow responsive planning in all the playrooms, which as the name suggests, involves providing experiences influenced by the children’s current interests and needs. In the Sunshine Room, children have a much more direct input. 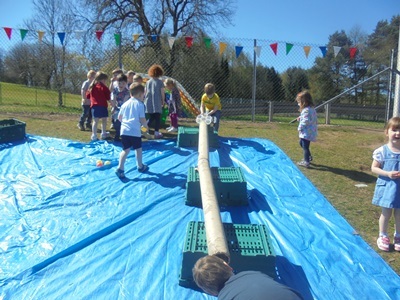 Their opinions and thoughts are sought, they are encouraged to suggest and find resources that could be used and, finally, they work alongside the adults to help to set up play spaces. Current theory emphasises the importance of the creative child and here in the Sunshine Room it is at the heart of our daily play. When you enter the room you may see cardboard boxes, sticks, and buttons – anything which allows children to use their imaginations, make choices and follow their own agenda. We look for thoughtful and meaningful ways to develop our children’s responsibility and confidence. 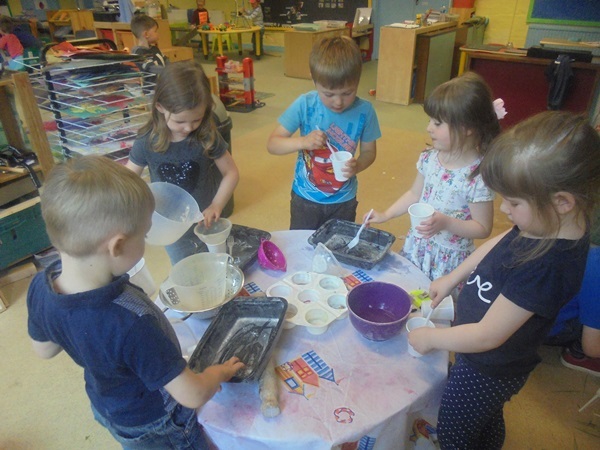 They are encouraged to be helpers – at lunch/ snack times, helping with the younger children in their room and most recently, the children have been responsible for risk assessing both the indoor and outdoor play areas. We display information regarding your children’s day in their cloakroom and will talk with you about your child’s day when they are collected. The Sunshine Room is a place of endless opportunities.